You know you’re a writing teacher when you read an awesome article that combines content, form, style and structure to make its point clearly and beautifully and think: I want to put this in a syllabus. Or so it was for me, with Larissa MacFarquhar’s requiem for Aaron Swartz in last week’s New Yorker, which you should read. But actually, I don’t want to talk about that piece. I just squeezed it in there for kicks; I actually want to begin with a moment in another article from the same magazine issue, a profile on jazz pianist Jason Moran. There is a moment where Moran is teaching a lesson at the New England Conservatory of Music to a student named Chase Morrin. “How would you play that song another way?” Moran said when [the student] finished. Then the article moves to Moran’s next lesson. And instead of really answering me, he told me to read Bob Dylan’s autobiography, Chronicles, which had recently been released, that Dylan had a better answer for me than he did. 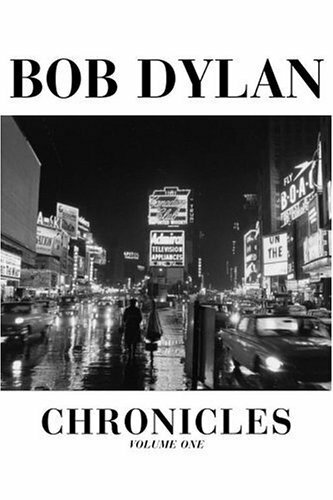 So I went and read Dylan’s book, and listened to the not seminal album, Oh Mercy, around whose recording the book revolves, and smoked cigarettes out of my dorm room window and watched the people walking on the street beneath, knowing they’d never look up. And at some point I went back to my little couch and kept reading and that day or another day found the part where Dylan describes a song as a thing that kind of hovers in front of him, and you can’t get to close to it, and if you try to grab it, it will vanish, so you have to just sort of respect its distance from you, and slowly approach it through writing. And I remember the first semester I taught composition full-time, I had one class where everything was just right–the kids where great, the classroom was big, with an A/V hookup. The professor before us taught a class about jazz, and I thought maybe that left us some good vibes in the room. We had a bunch of musicians in that class, music students studying jazz guitar and cello and music composition, and when I assigned the writing-on-writing paper at the end of the term, I said they could write about writing music if they wanted, and some of them did. One girl turned in a bunch of MP3s with songs she’d written, and her essay was all about them–where they came from, what they meant. It’s funny, a few weeks ago I wrote this post on Jewish-African-American relations, and ever since then I’ve felt this pressure to write the follow-up posts I promised, on all sorts of important topics I detailed in that piece. And in the process of not following up I realized that part of the hang up is that I write about Jewish-Afroamerican relations every day, I just don’t share it with you: because in the novel I am writing, have been writing forever, my Jewish main character moves from a relationship with a black man to one with an Arab woman. But y’all don’t see that book, because that’s the difference (for now, at least) between writing fiction and writing a blog. On Friday I was working on this scene where my protagonist finds another character dead in her apartment. I’ve written this scene maybe three or four times; I was looking through some old drafts. The funny thing is, all of my drafts from grad school are beginnings. Together they add up to almost the whole novel, but every time I turned pages in, they started at page 1. I remember a professor at grad school telling me to be patient, that you can’t write a whole novel at once, that I had to let the thing unwind. Now, finally, I’ve managed to hide this death til the middle. But it’s taken me five years to learn how. And now my mind flies back to college, to my last March and April there, spent writing a thesis, when I would take my laptop to the reading room in the music library, and face wide windows that looked out into green spring trees. I remember rewriting the same story from the perspective of three different characters, how little details emerged each time, how the friend could see around corners that the aunt couldn’t. Those were the days when I felt like I could be a writer, like there was nothing better I would rather do than sit in a room, looking at the trees, taking real life and making it something greater, something with language and form.